Utah Based SnapSports® brings new meaning to the term ‘home-court advantage’ this month, providing 32 of their I ndoor BounceBack® basketball courts to the AAU Big Mountain Jam and AAU Rocky Mountain Showcase – both taking place a short distance away from SnapSports headquarters in Salt Lake City. 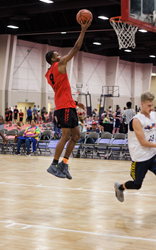 The Mountain America Expo Center in Sandy, Utah, will host both tournaments beginning with the Big Mountain Jam taking place June 21-23rd and concluding with The Rocky Mountain Showcase June 28-30th. SnapSports, a long-time partner of AAU, is proud to be a key partner to the growing tournaments, taking place each year in their backyard. Both weekend Tournaments, put on by AAU’s Jam On It Academy, will feature basketball teams from all over the West, including top teams from Arizona, California, Colorado, Idaho, Montana, New Mexico, Washington, Wyoming, Utah and Canada. 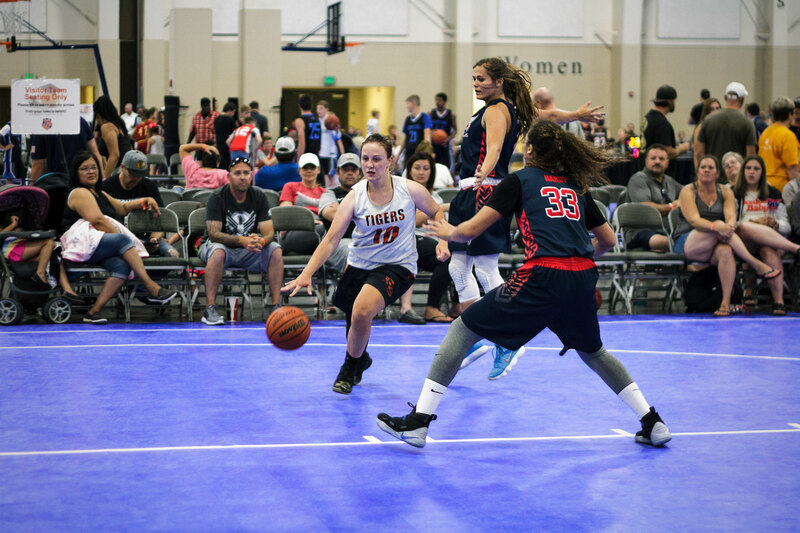 Big Mountain Jam, in its 7th year, will showcase 450 teams, while the Rocky Mountain Showcase, in its second year, brings 300 teams comprised of boys and girls of all ages. All teams will compete on SnapSports BounceBack® Basketball courts throughout tournament and championship play. When looking for a tournament ready, easy to install, surface that could handle hundreds of games and 700+ teams at varying levels of competition, Matt Williams CEO Jam On It Academy/AAU Western Governor knew who to call. Williams and the rest of AAU and the Jam On It Academy are thrilled with the success of the Utah tournaments. The Rocky Mountain Showcase was started two years ago to accommodate additional teams who had been previously turned away from the full Big Mountain Jam. Participation in both weekend tournaments is expected to continue its exponential growth. SnapSports patented technologies make their surfaces an easy choice for not only AAU and other top sports organizations around the world but also the best option for any home backyard court or gym. SnapSports manufactures 24/7, in a 100,000 square foot ISO 9001:2008 quality certified facility in Salt Lake City, UT, and is supported by an authorized global network. SnapSports is a family owned and operated company. 2018 Big Mountain Jam tournament action.